We were delighted that Architect Katy Barker was a finalist at the Kent Invicta Chamber of Commerce Awards evening yesterday. The 11th KICC awards were held at the Canterbury Cathedral Lodge and hosted by Jo James, Chief Executive of the Chamber. 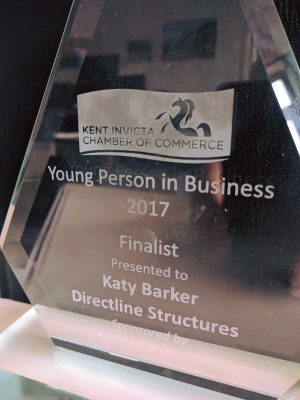 Of the 7 awards categories, Katy was one of three finalists in the Young Person in Business Award. 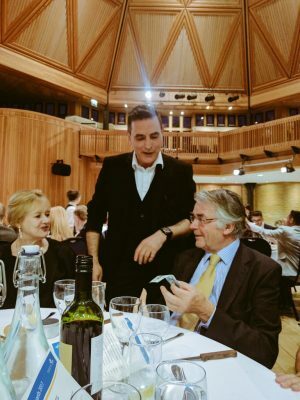 While still in her twenties, Katy became a Chartered Architect and was appointed a Director of the business last year. Katy’s ability to apply her knowledge of construction to her design work, and vice versa, sets her apart from other architects and contractors. She is fundamental to delivery of all projects – her architectural vision, talent and presentation skills have brought a new dimension to the company.